We took our annual trip to Holland on March 21 - 31. It was the 11th Dutch Touch trip to the Netherlands. It was also the largest group we had ever taken. In total, there were 65 people in our travel group. Once again, we had an outstanding itinerary, created by our Dutch leader, Jan Pruijn. Every day was action packed with soccer, history, culture and sightseeing. Every year Jan tweaks the itinerary and this year more so than ever. 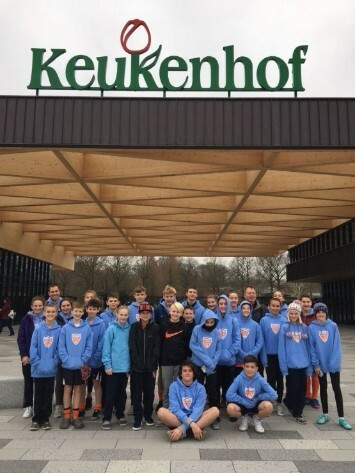 This trip combined some of the usual attractions: soccer training and games with local Dutch teams, visits to a Dutch school, where our group attended classes and had lunch. We also toured the War Museum of 1944-45. We took a trip to Dortmund with a stadium tour and browsed the spectacular Fan Shop. 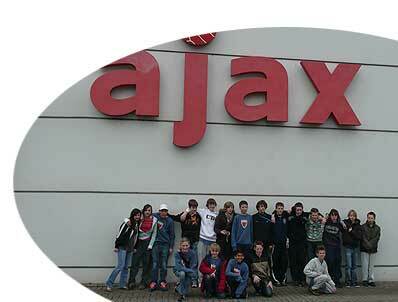 We also spent a day in Amsterdam, with a canal cruise, shopping, and a visit Ajax facility/Fan Shop. Our players again stayed with Dutch host families. Our meals were with our old friends at de Oude Molen hotel. The group saw lots of bicycles too. What was new this year - Special training for everyone with local Dutch teams; we had 4 Dutch teams that our players joined for sessions. Our players also has the unique experience of playing in an International mini-tournament. 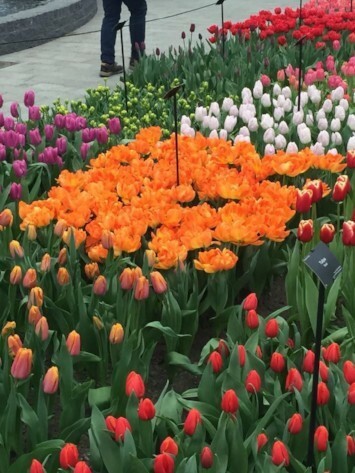 We added a visit to Anne Frank House this year and a tour of the amazing Keukenhof Gardens. 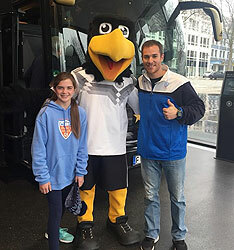 We experienced the German Bundesliga soccer museum, as well. We were able to offer many different optional activities too. One of the highlights of the trip was the opportunity to see the Holland - England International Friendly live in Amsterdam. Once again, the 2018 CBC Dutch Touch Trip was a one filled with a lifetime of experiences and memories that will never be forgotten. Special thanks to the players and their parents, our Dutch soccer staff, our Dutch host families and our adult trip leaders for their great work this year. The 9th Spring Trip to Holland was another smashing success as we took the largest group yet, 55 people (25 players) for our annual jaunt 'across the pond'. The 2016 version featured the same variety of activities and a wicked daily pace that kept everyone in constant motion. 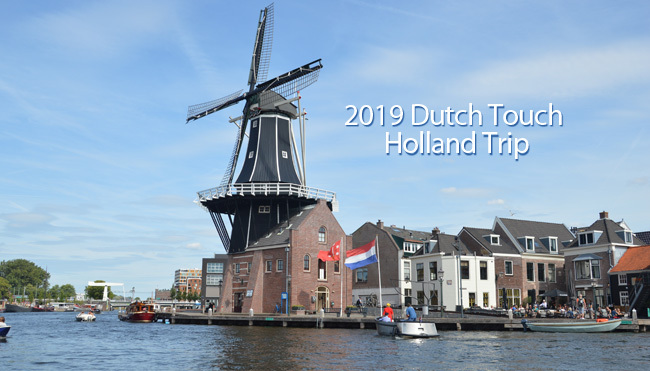 Once again, Jan Pruijn, the Dutch master of organization, put together an incredible itinerary that included a combination of soccer, culture, history and lifetime experiences that will be the talking point for years to come. It truly is an experience of a lifetime to be able to immerse into a different culture and experience life on different terms. The Dutch have a way of welcoming and treating their guests with the utmost of hospitality, and we experienced that many times over the course of our trip. Our flight over arrived as scheduled, our bus took us from Schiphol International Airport in Amsterdam to our friendly destination in Groesbeek where Jan and Astrid were eagerly awaiting our arrival. The first day is always a long, tiring day, with the time difference (6 hours ahead) and the jet lag, but the excitement of being in Holland fueled the adrenaline, and on we go. After a brief orientation on the accommodations, (and how to properly put the bedding together, aka Astrid), we had a full day ahead of us, culminating with our first game of the trip later that evening. We played the Trekvogels club of Nijmegen, coached by Joost van Elden of our very own Dutchtouch staff. With 25 players, we were able to form 2 teams - U13 and U15, each group played 5 games. The U13 group played some outstanding competition and improved from game to game, with the last game being the best by far! The U15 group had more success in their games, ending the trip with a winning record. 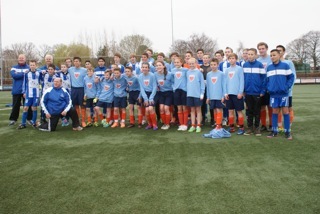 They also played some steep competition with the U13 Academy team of Vitesse and the JVC Cuijk teams. As much as we value winning games, when we go to Holland, the main purpose is to learn from them as much as we can about developing young players. What impresses me the most is how solid their foundation is at the younger ages. After our first game vs Trekvogels U 13, that word foundation just stayed on my mind. Foundation is always the basis of any development, and in soccer, it is the overall development of everything that the individual player needs to be successful, with and without the ball, 1 vs 1 on both sides of the ball. It is about the ball skills, using both sides of the body equally well - winning, keeping, using the ball - first touch, last touch, shielding, tackling and integrating into total team play. The Dutch build the foundation through age 11, and then they add other elements. It was common to see that in all the Dutch players wherever we played. The 2015 version of the CBC Dutchtouch trip to Holland was a smashing success - another outstanding journey to the soccer capital of the world, the land of windmills, bicycles, tulips and friendly people. With comfortable weather, a balanced daily program of varied activities, plenty of soccer activities, and a very compatible group of travelers, Holland will remain a pleasant lifetime memory for the 40 people in our group. The group consisted of 14 players, born 2000 through 2004, parents, coaches and a few other adults. The bonding began once we arrived in country and grew stronger each day. New friendships were made and with that more memories. As the days progressed, the parents felt comfortable to make small group plans and travel about on their own. 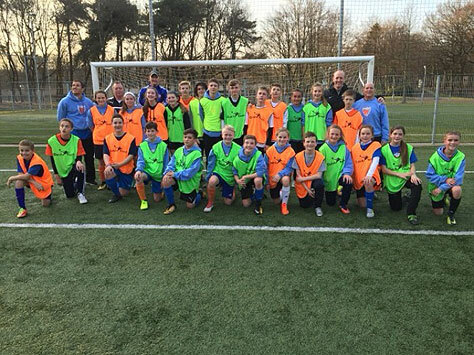 Midway through the week, we had parents in Bruges, Belgium, Amsterdam, Nijmegen and coaches in Genk, Belgium. The flights, though long, were smooth and we actually arrived in Amsterdam ahead of schedule. Luggage arrived, customs cleared and we were on our way. Sunny skies greeted us as we stepped from Schiphol International Airport in Amsterdam and our very comfortable bus took us to our destination in Groesbeek, to the east of Holland, bordering Germany. We quickly settled in to our accomodations at Het Uitzicht, had a meal, walked into the village, and the boys had their first 'international' that evening vs Joost's team from Trekvogels. The boys played well, but jet lag may have contributed to 2 late goals against. Friday we once again attended the OBC school in Bemmel and joined in 2 classes with the Dutch students and had a dutch lunch at the school. After school, we went to the Castle at Doornenberg. A short training session followed with Henk Schaap and then we were off to Arnhem for the Vitesse vs AZ Alkmaar professional game. A very full day to say the least! 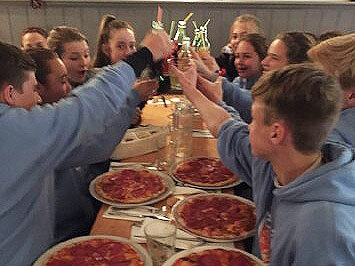 Saturday was a game day with 2 games in the morning and then a pizza dinner in Nijmegen and then a free evening to catch up on rest. Sunday we had training in the morning with Bas (core fitness) and Henk (technical) and then we travelled to Germany to see Borussia Monchen Gladbach vs Hannover in the German Bundesliga before a capacity crowd - great German atmosphere and support of the home team! Monday was Amsterdam - canal cruise, shopping in downtown, visit to Ajax - ArenA tour, gift shop, youth complex - and then back to Nijmegen for the NEC vs Volendam professional game. Tuesday was training at the 5 a side courts across the street at Seven Hills with the Rene Muelensteen trainer and with Remco (NEC and JVC Cuijk), the annual visit to the War Museum and Canadian war Cemetery, and the evening game vs DVOL Lent with the traditional dutch dinner in the canteen, provided by the host team. Wednesday was training in the morning, a visit to the Richard Kregtin soccer shop in Nijmegen and a return match vs Trekvogels. Thursday was a highlight day as we visited Borussia Dortmund (Germany) - toured the stadium, fan shop, training facilities and were able to participate in a state of the art training facility for passing and vision - one of only 3 such facilities in the world!! 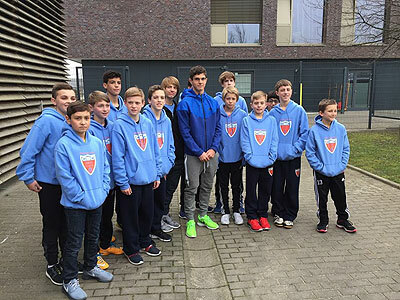 We were able to meet with Christian Pulisic, a USA U 17 national team player who signed a 5 year contract with Dortmund! When we left Dortmund, we headed to Silvolde to meet with the guest families. The players were to stay the last 3 nights with the guest families - always a highlight of the trip and this year was no exception. Friday was a morning training session in Silvolde with Wim van Zeist and then to Arnhem for a visit and tour of the Vitesse stadium, and then return to guest families in Silvolde. Saturday was family day with the guest families (farmer's golf - cut short by rain) and dinner and social with all the parents and players and guest families. Sunday was up early and return to Schiphol for our flight back home. The weather was nice - only a couple of typical dutch days - Saturday it rained off and on - but mostly it was comfortable. Many thanks to Isabella, Caroline and Astrid for their help in many ways, but particularly for the meals they provided us and their hospitality!! Special thanks to Jan Pruijn whose expertise brings all this together and makes the trips so incredibly memorable. Jan has the knack to make each trip better than the previous one - and they have all been truly outstanding. As we left we all acknowledged we will miss Holland - the nice, friendly people - the incredible soccer facilities - the people at the Oude Molen - the guest families - the coaches who trained us and the teams we played - the lifestyle - the bicycles - Amsterdam - the stadiums and the fans -- so many things that we will remember. The dates for the 2016 trip are: March 16 - 26, returning on Saturday to be home for Easter Sunday. Make plans now to be part of another exciting trip filled with a lifetime of memories. 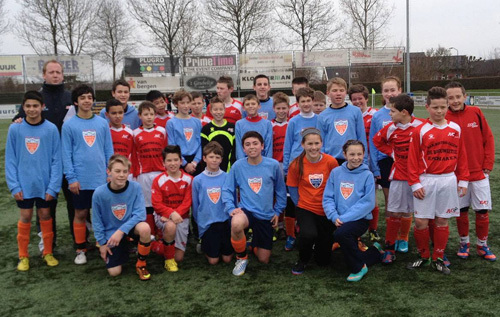 The CBC Dutchtouch trip to the Netherlands in March of 2014 was another resounding success!! With 42 people in tow, we were greeted by wonderful weather (that is always nice), a busy and exciting itinerary, and a great group of cooperative and interesting people. Holland is such an interesting country and our trip gives a panoramic view of the country and its people. From the small villages to the international cities, we experience a great deal of the culture and the history of this remarkable country. Needless to say that soccer is king, and you see that anytime you visit any facility anywhere in the country. They put a high value on the learning process, and that involves quality coaching and quality facilities. We were led by our Dutch professional, Jan Pruijn, who spent the entire trip with us, coming in from Cape Town, South Africa. 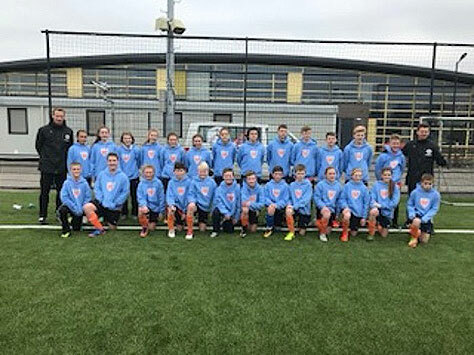 As is the case from previous trips, all of our training sessions were led by highly qualified Dutch professional coaches - what a tremendous opportunity and experience for our young players. The trip featured many of the usual activities that the past trips also experienced: we stayed in the quiet village of Groesbeek, frequenting the De Oude Molen for meals and relaxation - we had our day in Amsterdam with the canal cruise, shopping in downtown, visit to Ajax and the necessary stop at the Ajax Fan Shop - spent a day in the Dutch school attending classes and mingling with 'new' friends - had the most games any group ever played before - attended professional games - toured the Doornenberg Castle - visited the War Museum and the Canadien War Memorial Cemetary - spent a day in Germany at Schalke and Dussledorf - and ended the trip with fantastic guest families and a final day BBQ in Silvolde with our group and the guest families. Once again, the trip provided a lifelong experience for all those who joined us. New friends, wonderful memories, a desire to want to go back, a wish that we had more time when we were there, the guest family experience - just some of the many things that will stay with us for quite some time. Experiencing another culture and a different lifestyle, expands our world and allows to see life in a different way. I want to extend my thanks to all who were on trip, for your cooperation and enthusiasm. From every point of view, this trip was special - starting with the weather and continuing through every day's activities. From the soccer perspective, our 2 groups combined for a 7 - 1 - 2 record against our Dutch opponents, many of the same clubs we played in the past. It was very rewarding to see the improvement in the players during the 10 days we were in country. Hopefully, they will continue to try to play in the Dutch way. Dates are set for the 2015 trip - March 11-22, 2015. Make plans now to join us. 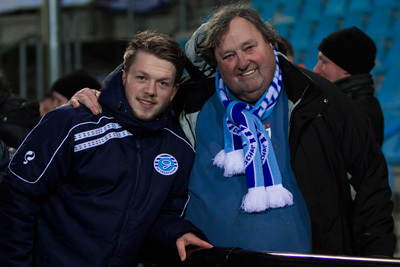 Terry Michler of CBC Dutchtouch with Tom Menting (Holland) with his professional team DeGraafschap - (picture taken at the DeGraafschap stadium after a game). Tom Menting is the first of the 'dutchies' to become a professional soccer player in Holland. Tom came to our St. Louis camp on 3 different occasions. CBC Dutchtouch just returned from its 6th trip to the Netherlands and once again it was a trip of a lifetime. With the exception of very unseasonal weather (very cold and wet - rain and snow), the trip fulfilled the expectations of all 38 players, parents and coaches that made the trip. As usual, Jan Pruijn organized a tremendous program of activities for our 10 days in country, achieving the perfect balance of soccer activities and cultural experiences. This trip may very well have been the best of all - I seem to say that after every trip! Jan has the incredible ability of always creating new experiences and improving on 'the best-ever trips of the past'. The group attended 4 professional games - all with different experiences and atmospheres - from the 2nd division Dutch game of De Graafschap vs Volendam, to the rowdy crowd at Borussia Moenchen Gladbach vs Werder Bremen in the German Bundesliga, to the Amsterdam ArenA to watch the storied Ajax 11 vs Pec Zwolle, to the final night in country to see NEC Nijmegen vs Heerenveen. European professional soccer is a very different experience and you must be there to realize it. Our young players played 5 matches vs local youth teams, winning 3 of them and playing very well throughout all the games, and had 5 training sessions led by professional Dutch coaches. In addition, we spent time at NEC Nijmegen and Ajax Amsterdam watching youth games and training of the young players of those professional clubs. Everywhere we trained or played, the hospitality of the local people was tremendous - the facilities are awesome and the overall atmosphere is very conducive to wanting to play your best. It is by design that Dutch soccer is so good - highly educated coaches, wonderful and plentiful training facilities and the attention to detail are the trademarks of Dutch youth development. You really need to see the number and the quality of the training facilities that seem to be almost everywhere. In addition to the soccer experience, the group visited the following: the Anne Frank House in Amsterdam, the '44-'45 War Museum in Groesbeek, the Canadian War Cemetery, The Bridge Too Far in Arnhem, the Palace Het Loo in Apledoorn, the Castle Doornenburg, the OBC Bi-Lingual school in Bemmel, Richard Kregting's soccer shop in Nijmegen, shopping in downtown Nijmegen and the usual canal cruise and tour of downtown Amsterdam. We are very fortunate that where we stay in the eastern part of the country (very near Germany) is very rich in World War II memorabilia as it there that much of the war took place. All of these visits contributed to a well-rounded total experience that left a lasting impression on our entire group. Many thanks to our wonderful hostesses Astrid and Isabella who made sure that we got the most of our Dutch experience through food and culture. Martin, our bus driver, was also most helpful throughout the trip. And a trip to Groesbeek would not be complete without spending time at the comfortable and welcoming de Oude Molen, led by Vincent, Werner, Bo, Sharon, Britt and the rest of the wonderful staff. It really becomes a home away from home with the warm hospitality that is afforded to us. Special thanks to our Dutch coaches - Tom Vrenken, Els Thuenissen, Joost van Elden, Henk Schaap, Remco ten Hoopen, Harry Jansen and Theo Derks. And, as always, the biggest thanks is shared -- to Jan Pruijn who organizes the daily program so that everyone has a great experience - and to the parents, players and coaches who made the trip possible by deciding to go. 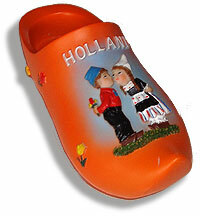 As we say good-bye to the 2013 Holland Spring Trip, we look forward to the trip in 2014 - the dates are March 12 -23, 2014. As a footnote, bus # 5 ran on schedule into downtown Nijmegen and room # 6 was not quite the same at de Oude Molen. Thanks to everyone for making this another memorable trip. 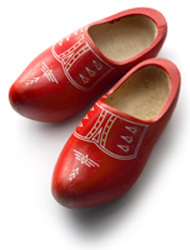 Dutchtouch has now taken 164 people from St. Louis to the Netherlands over the past 6 years. Jan has already promised a bonus for the 200th person to make the trip. The 2012 Trip just make have topped them all - the weather was the best ever, the group was awesome and the experience as good as ever!! 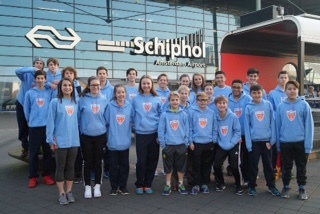 A total of 24 travelers arrived in Amsterdam, and quickly transferred to Groesbeek for the first part of the trip. The first days in country were busy and exciting - the usual trip into Germany to visit FC Schalke 04 - stadium tour of the Veltins Arena, gift shop and training areas - and then a Friday afternoon in Dusseldorf - and an evening return to Arnhem for the Vitesse-Heracles Eredivisie game. Wow - that was just day one! On Saturday, we spent St. Patrick's day in Amsterdam - first visiting Ajax, watching youth games, and spending freely in the Fan Shop - and then into downtown A'dam for a canal cruise and shopping/sightseeing. Oh, I almost forgot - we played a game on the Thursday that we arrived - in the evening in Arnhem vs ESA Arnhem, with a social reception in the club to follow. Sunday was training with some of our 'dutchies' who have been to St. Louis and then we attended a top amateur game at De Treffers in the afternoon. Monday was training in the morning and the visit to the '44-'45 War Museum in Groesbeek - game in the evening in Lent (we won!!) and a great Dutch dinner at the club to follow. No telling what we ate, but it was delicious, and plenty of it!! Lent is the village where Harry lives and the local club did a fantastic job of making us feel very welcome. Tuesday was off to training with Remco at JVC Cuijk and an afternoon in Eindhoven at PSV - observe training and gift shop. In the evening we played the NEC amateur team in our age group and they were very special. We seldom got close to the ball in that game - they showed what could be done with proper training and team play - a very impressive display! Wednesday we spent the day in Nijmegen at the NEC grounds - observed training, gift shop and stadium tour and our annual visit to Richard Kregting's soccer shop in Nijmegen. Richard loves to see us and his business improves with our visits. Thursday was back-to-school day at the bi-lingual OBC school in Bemmel. This is our second visit to the school and it was a great experience for all the young people involved. Following the school visit, we were off to Ermelo to spend the rest of the trip in the Dutch homes of our guest families. Ermelo is the home of FC Horst, the club of Jaap de Vries, one of our Dutchtouch coaches. Jaap and his club completely made us feel welcome. We had a BBQ at the home of one of our guest families and on Saturday night we had a social at the Horst clubhouse with games and snacks. In addition, we had a training session and a game on the Horst grounds. We had 3 wonderful days and leaving was very difficult. Everyone enjoyed the hospitality of Vincent and his staff at the de Oude Molen - a very comfortable and friendly environment with great food and drinks - and bus 5 runs right outside the door, taking you into Nijmegen center. They play the most interesting game of billiards (pool) there and the players that play are very good. Our players, along with a couple of staffers, stayed at the Resort Zevenhuelven, about a mile down the road. The players enjoyed a parade and carnival in the center of Groesbeek and training at the Achilles '29 grounds, just around the corner from our 'digs'. Shopping was plentiful and everyone managed to bring back many memories of our trip. We met 2 new coaches, Joost and Els, both will be joining us at the International Camp at CBC in July. Els will be our first Dutch female coach and we are excited about that. I think it is safe to say that everyone had the time of their lives and that the trip will live in their memories for many years. Rumor has it that room 6 at de Oude Molen will never be the same!! Thanks to all for making this a wonderful trip and a great experience. .. and, oh yes, some very good soccer as well. 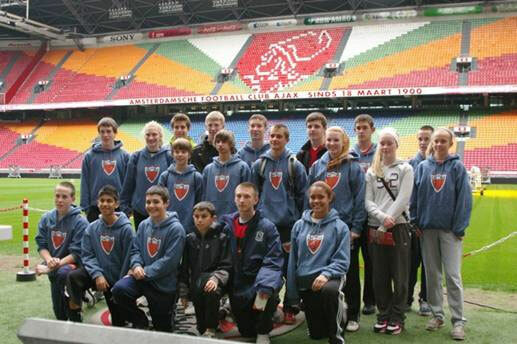 A total of 38 people will depart St. Louis on March 24, 2010 for an educational (soccer and life) trip to the Netherlands. The trip last spring ('09) was very successful, and the anticipation and enthusiasm is building for the 2010 trip. Once again we have an exciting, busy itinerary planned that includes a nice balance of soccer, sightseeing and cultural exchange. As we experienced last spring, Holland is a country with a strong historical past combined with a free-spirited present. We will also have the opportunity to reunite with our 'Dutchies' from the previous 3 summer camps, when they came to St. Louis to train with our local players. The players will join together for training and games, and also compete against each other as we will play their local teams. In addition, the plans include a stay with the SKV Club in Wageningen. The second part of the trip the players will be housed with Dutch families and even attend a day of school in the local Dutch school. A full day is scheduled in historic Amsterdam with a visit to the famous Ajax Amsterdam grounds to watch a practice, tour the Amsterdam Arena, visit the Ajax Museum and go crazy in the Gift Shop. We will attend 2 professional games of the Dutch Eredivisie, one in Amsterdam (Ajax) and one in Arnhem (Vitesse). Sounds exciting and challenging!! The group will return to St. Louis on April 3 with a lifetime of memories. The plans are in place for the 2010 International Summer Camp to be held at CBC High School from July 18 - 23, 2010. With enrollment limited and interest sky high, applications will fill quickly. If you are interested in attending, please visit www.cbcdutchtouch.com and click on Camps to get more information and an application form. Thank you for putting together the Netherlands' Trip as Donna and Nathan have done nothing but talked about it since they have been back. I heard weather was pretty cooperative this time which made the trip that much nicer. Based on what they have said, it sounds like it was a marvelous trip and a great experience. Thank you for inviting Nathan on the trip. Nathan and I both had a wonderful time. We appreciate the hard work and organizing that both yourself, and those in Holland did in preparation for our visit. We appreciate the other coaches and Marc for his assistance to us all. The cultural exchange was wonderful. We were amazed by the differences in both the Dutch culture and the enthusiasm for soccer, especially at the professional games. We really enjoyed the other kids and families both from St. Louis/Bermuda and those from Holland. It was a great trip and we consider everyone in the group our new friends. First off thank you for inviting C.J. and supervising him during his "Dutch-Touch" trip to the Nederlands. He has told his mom and me that the trip was "awesome" and this Dutch trip has enriched his "futbol" passion. Hopefully it will be seen in the near future on the field. I want to start off by saying thanks to all of you for allowing me to be part of the trip. The trip accomplished all of my objectives which were to grow as a coach by observing youth training in Holland and to have a good time with fun nice people. I would like to thank you for everything that you did to put this trip together for us, and for including us. It was a great experience. Your leadership off the field, to smile and be there through the many exhausting events, was as impressive as your leadership on the field, thank you for sharing that with us as well. Lester had a great time staying with Frank and his family and has extended the offer to them to stay with us if they are interested next summer. They have expressed that they may send Frank and his younger brother Ohno. His Dad is thinking about if he will come along as well. Lester and Frank are continuing to communicate via email several times already since we left, how the internet can help these experiences to mean a little more, by allowing them to continue their new relationship. We would love to host them. My kids are still floating on air. We all has such a wonderful experience. Thank you so much. Most definitely... We'd love to have the Dutchies back. We already told Tom he was welcome...and Gudo as well if he comes. Just let us know. Dave and I really appreciate this opportunity that you gave our son. Thanks bunches for taking Mara she had a wonderful time and said it was the experience of a life time. I just wanted to thank you for the chance to go to Holland with the group, it was a life changing experience for me. The training was first class and made me realize that maybe I could make it. I spoke with Jan today and we are setting something up for South Africa. Hey Terry, thanks for everything! Tyler and Peg had a great time even after all of his issues. We would be interested in going back believe it or not if asked again. Flying directly into Amsterdam sounds like a winner. Thanks again for all you did to provide a memorable experience for them both. Thanks again for all the work you put in on the trip to Holland, Jake had the time of his life, Again thanks a lot on the memories I'm sure Jake will remember forever!! Web presence designed by WebXtras, LLC ©2008. All rights reserved.